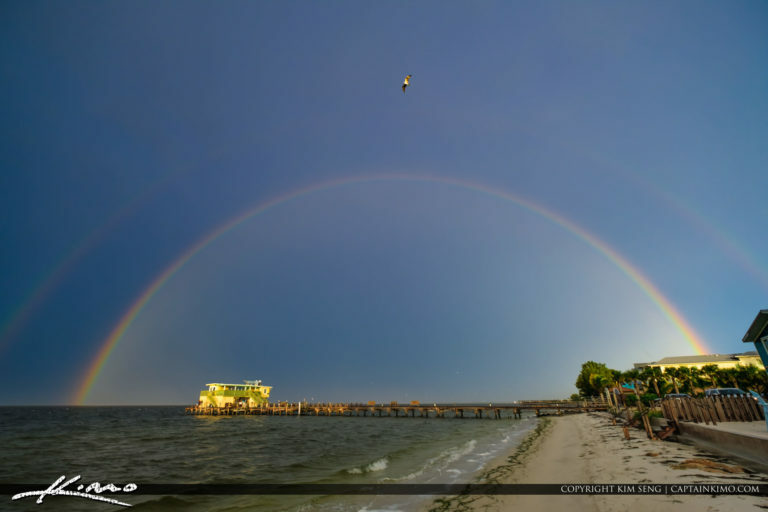 Rainbow over Rod and Reel Restaurant at Anna Maria Island Florida. 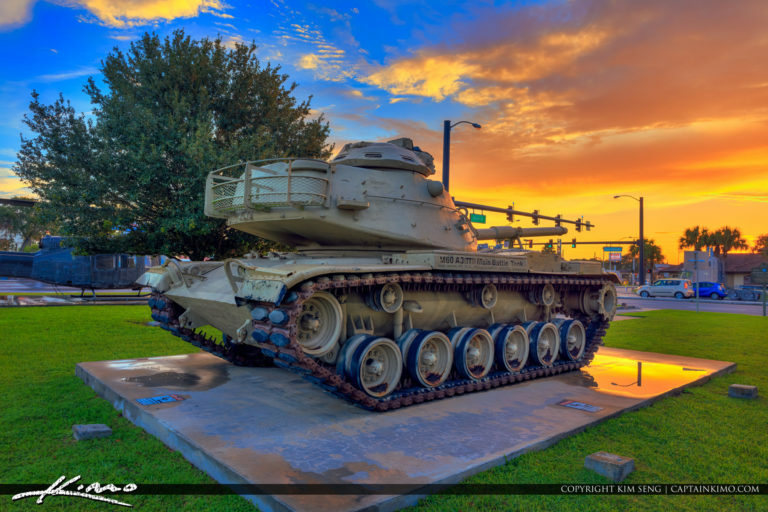 Amazing tank sunrise at Okeechobee City, Florida downtown memorial park. HDR image created using Photomatix Pro and Luminar 2018.